Loretta Lynch in her own words describes her unplanned meeting with Bill Clinton. An impromptu visit simply requires a hug; not a 30 minute meeting on the plane. The Left might argue that Bill Clinton was being presidential. As a former president, it’s his duty to visit “the little black people” like Lynch. After all, as the first black president, he paved the way for blacks in politics, did he not? 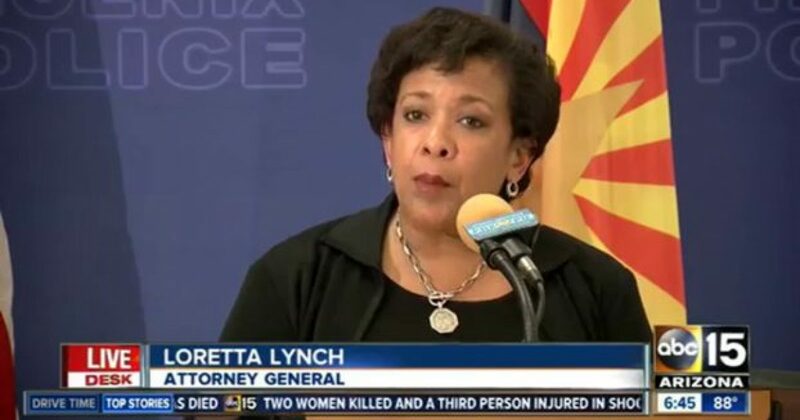 People say that Lynch was in the driver’s seat in this meeting, since she is “investigating” Hillary Clinton. But what do we really know. The Clinton’s have avoided prison, not because they are righteous. As the blue dress suggested, the “gizz” is up on that notion. The Clintons have avoided prosecution and prison because they are ruthless politicians, which makes them psychopaths willing to do anything, and I do mean anything to keep their criminal enterprise going. Recently I discussed the Clintons, and referenced John Ashe and Ron Brown. Both of these men died because they knew too much, and their information would have brought down the Clintons. Metaphorically, the Clintons are the people who will kill a carcass, wait for the buzzards to circle, then start killing buzzards. Who knows what the Clintons have on Lynch? They do more opposition research than the top Harvard debate team. What’s most disturbing about this visit is the ease with which the Democrats dismiss it. Sure there are a few people saying it’s a bit strange, or the meeting has bad optics. But trust me when I tell you that’s just politics. In light of Lynch’s announcement that crooked Hillary Clinton’s emails won’t be released for 27 months, one has to believe the timing could not have been worse. And yet here we are. The Left DARES us to respond. The Republicans have not made an example of any criminal in the Obama administration. You can kill veterans, children, America’s own military, Tea Party Community members, Republicans, and people testifying against the Clintons. Everybody on the right is fair game.